The whole team participated in an ITIL Foundation Course. The 3-day ‘Marathon’ gave the whole team a great understanding in ITIL. The training concluded with an ITIL Foundation exam and I’m pleased to report that everyone on the team passed! The Viper team was proud to present Viper at the Hull Science Festival earlier this month. The team displayed two different activities aiming to highlight the benefits of High Performance Computing. 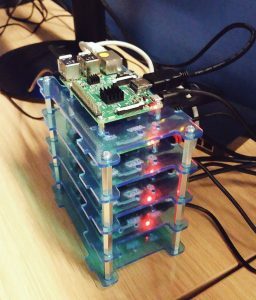 Our Raspberry Pi Cluster attracted a lot of attention. 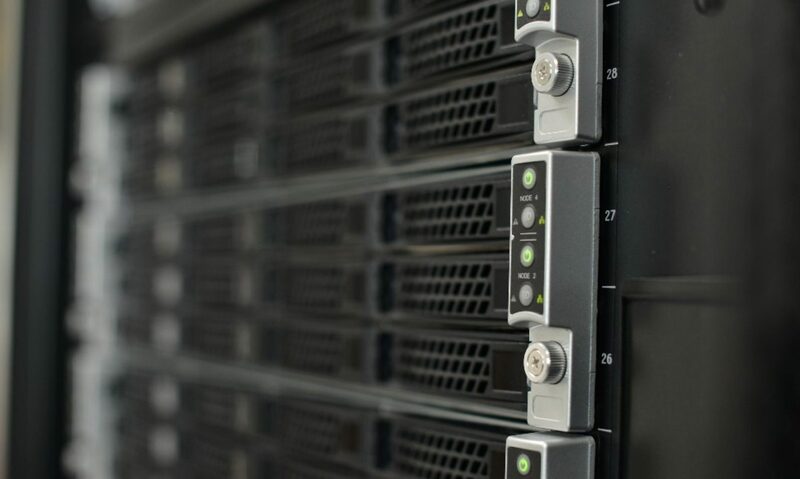 The cluster demonstrated the performance benefits of Parallel Computing – where numerous tasks are run simultaneously. 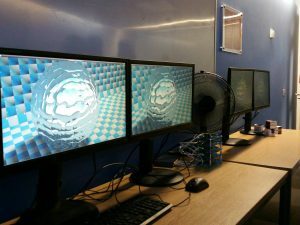 The Pi Cluster consisted of 4 Raspberry PI rendering a CGI image, compared to 1 Pi completing the same task. The cluster was roughly 2-3x faster than the single Pi. The basic principle of the Pi cluster applies to Viper providing a great example highlighting the benefits of HPC to researchers. Our second activity involved building cubes that spelled out the Viper logo. The activity showed how 10 people building cubes is faster than 1 demonstrating the fundamental concept of Parallel Computing. Throughout the day we were fortunate to have numerous researchers/scientists answering questions regarding the research that they are completing using Viper. The festival provided a fantastic opportunity to display the work going on at the university, to inform people of the ground breaking research being undertaken on Viper and to answer the many questions on Viper that people asked.